Flörke heading for success..for 40 years! 1978 was the year Flörke GmbH was founded in Offenbach am Main by Mr. Dipl.-Ing. Hermann Flörke. Since then Hermann Flörke Gmbh has been producing fine manicure and pedicure articles for the leather goods companies settled in the Offenbach region and the steel ware industry based in Solingen. We produce our own wide range of manicure and pedicure articles for the self-user market as well as the beauty salons. Our professional manicure-systems can be found in all wellness areas as well as in professional nail and pedicure studios. 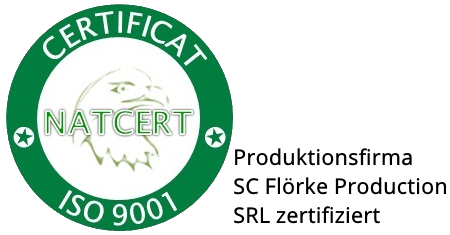 Due to our rational and automated production in Hermannstadt since 1993, is Hermann Flörke GmbH and Flörke Production S.R. internationally competitive. 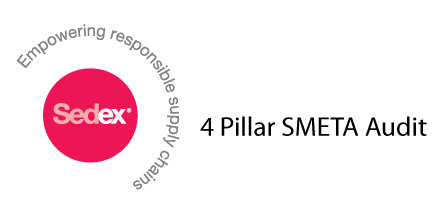 High quality, low prices and stable delivery reliability are the supreme objectives of our corporate philosophy. 7. 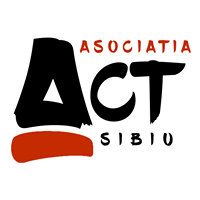 NON-PROFIT ORGANISATION "TOTUL PENTRU COMUNITATE"
8. 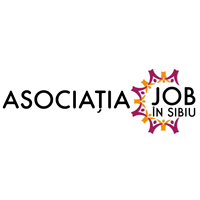 NON-PROFIT ORGANISATION "JOB IN SIBIU"
Purchasing of a professional laser machine, which allows product personalization by computerized engraving. Extending the portfolio by designing various shapes and colors of plexiglas (PMMA) displays. The purchase of an additional wire EDM as well as a sinker EDM helps us implement projects faster than before. A further investment in a laser welding machine enables us to respond to inquiries for deposition and repair welding. Building of a new production hall for tool-making. A second project for a new building which should serve for the centralization of the material storag as well new parking lots for employees and clients has been initiated and carried out. Implementation of TEMP-Management-Systems: team, service quality , employees and processes. New printing techniques and the possibility of a 4-colour direct print on almost any surface open new dimensions of printing quality. uncultivated agricultural lands are bought. A reforestation program in collaboration with the State Forestry Administration in Herrmannstadt is launched. The goal is the minimization of CO2 emissions and the neutralization by new tree planting. Investment in blister packaging und display manufacturing. With the new high-speed unit and thermoforming machines Hermann Flörke GmbH becomes a competitive player in the international thermoforming industry. Inauguration of a new production hall in Hermannstadt. Completion of an automated counting an packaging line for professional nail files. Product of the year! the new tick remover card "ZeckEck". 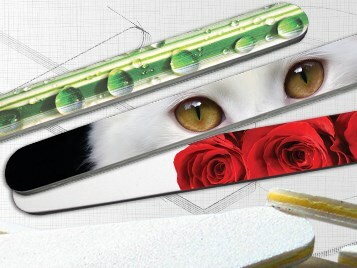 Extension of the nail file production. Planning and implementation of an automated production line. Investment in the first 2-components injection machine and hydraulic metal stamping machine. Innovation: Hermann Flörke GmbH is realizing an up to 4-colour direct print on emery paper at a high quality level. Implementation of the 3D-CAD program SolidWorks 2006 on 4 work stations. Product of the year! The new mineral stone file ETHNO. The outstanding design combined with the finest surface texture grantes this new article the winner title rewarede by the “Gesamtverband Kunststoff Konsumwaren”. 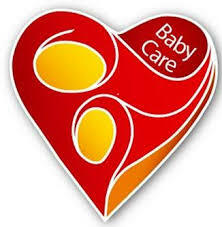 In 2003 new products were added to our industry. Worth mentioning are the new variations of mineral files, from the production of finger nail files up to the rough mineral-stone files for feet. We expand the professional and retail business, despite the difficult economic situation in Germany. Up to date design and high innovation in the manicure and pedicure segment are the core competencies of Hermann Flörke GmbH. A patent application for the safety protected callus remover "Safety" has been filed in the USA. 2001 marks the date again: the manicure travel set "nailbox" is rewarded the winner title -Product of the Year 2011 - for its outstanding design and functionality by the “Gesamtverband Kunststoff Konsumwaren”. It thus becomes very clear that the successful company philosophy has made the leap into the new century. 1997 Hermann Flörke GmbH is awarded the winner title by the “Gesamtverband Kunststoff Konsumwaren” at the contest for outstanding product design. The clapping sapphire file HANDY and the Flörke corkscrew with integrated re-closure system are awarded as best products of the year 1997. The Hermann Flörke GmbH products become increasingly recognized in the promotional items field, which developes as an important and integral part of the business market. Since 1995 Dipl.-Ing. Armin Flörke,the son of the company founder and name giver has been leading Hermann Flörke GmbH. The company starts producing in Daia, Hermannstadt,RO. The first nail sand files are being produced in Daia, June 1993 with initially three employees. The first plastic injection machine is being brought to Daia,Herrmannstadt. The first 2 employees in the tooling department start their activity.